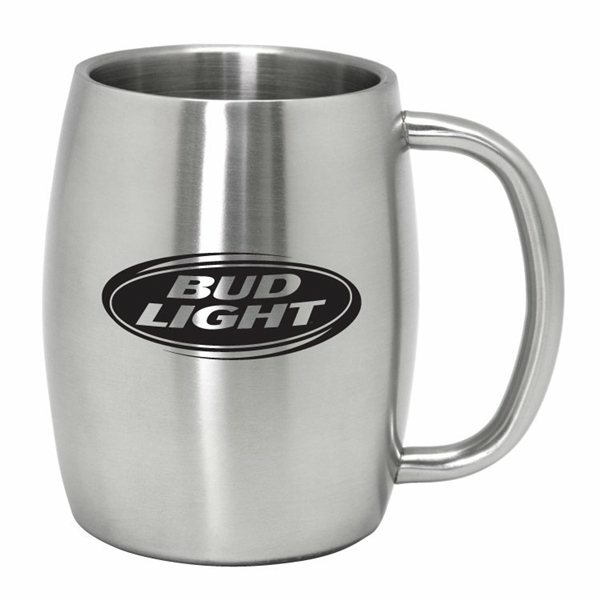 14 oz double wall stainless steel for keeping drinks cold longer. I have no complaints about the product at all. Everything was great! I especially like that it feels very sturdy. They're something service-able. this was my first order with AnyPromo for exhibit booth give aways. 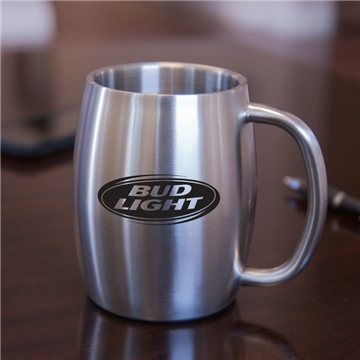 Ordering process was quick and easy and I was really surprized at how easy it was to load in our logo and/or set a text design on the item. Very cool. the imprinted logo was perfect! the products materials was well. I loved and enjoyed this product the first time I ordered it. I reorder it every 2-3 months.